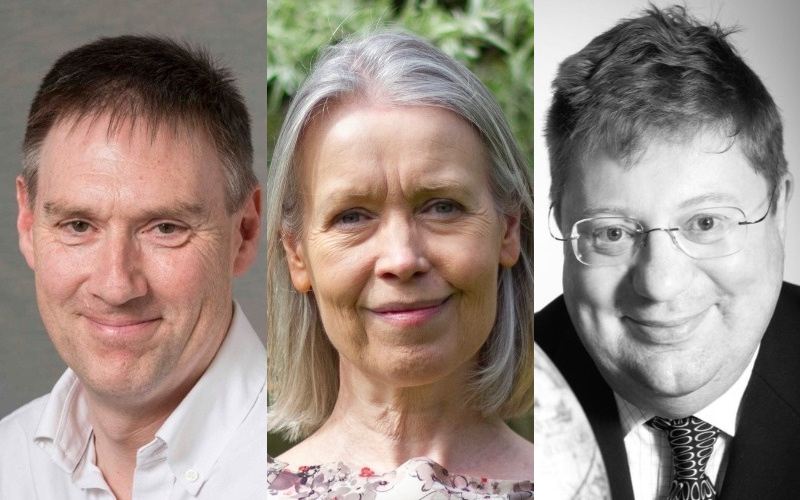 Congratulations to the members of the UCL community who have been recognised in the 2019 New Year's Honours list. Professor Jonathan Montgomery (UCL Laws) was appointed Knight Bachelor for services to Bioethics and Healthcare Law. Sir Jonathan, Professor of Healthcare Law, joined UCL Laws in 2013. Alongside his academic contributions while at UCL, he has been Chair of the Nuffield Council on Bioethics, Chair of the Health Research Authority, and a member of the Morecambe Bay Investigation panel that examined NHS failures in relation to neonatal and maternal deaths in Cumbria. On receiving a Knighthood, he said: “I am delighted and rather overwhelmed by this recognition. I have always tried to ensure that my academic work contributes to public life. It is one of the great strengths of UCL that it embraces this responsibility and that is one of the reasons that I am proud to work there. Professor Alison Park (UCL Institute of Education) has been made a CBE (Commander of the Order of the British Empire) for services to the Social Sciences. Professor Park CBE joined UCL in 2015, as Director of CLOSER, an ESRC and MRC funded partnership that brings together eight longitudinal studies, four of which (the 1946, 1958, 1970 and 2000/01 national birth cohorts) are based here at UCL. During her career at UCL, Professor Park has overseen the launch of the CLOSER Learning Hub, aimed at those who are new to longitudinal studies, and has led UCL's contribution to a European-wide project called EuroCohort, which is designing a cross-national longitudinal study on child and young adult well-being, funded by the European Commission under Horizon2020. In January 2019 Professor Park CBE will leave UCL to take up the role of Director of Research at the ESRC. Professor Hugh Griffiths (UCL Electronic & Electrical Engineering) was appointed an OBE (Officer of the Order of the British Empire) for services to Engineering. Professor Griffiths OBE is recognised as a world leader in the subject of bistatic radar. He has pioneered the development of bistatic radar and advanced the theory and implementation of passive radar which are evidenced by successful experimentations, large volume of highly- cited papers, and recognition by the Royal Academy of Engineering Chair, the IET A F Harvey Prize, and the IEEE Picard Medal. He currently leads a research programme to measure the bistatic radar signatures of sea clutter and targets. He has led research on waveform diversity, cognitive radar, spectrum engineering, drone detection, and ground penetrating radar for landmine detection, within impacting international organisations such as NATO. On receiving his award, Professor Griffiths OBE, said: “I am thrilled at this honour, which recognises the importance of our work at UCL, and I am hugely grateful to all of the engineers and scientists who I have worked with and learned from over the years.